Since 2007, Tom has been consistently named to the New York Super Lawyers list, a Thomson Reuters lawyer rating service. Thomas J. Fleming is a trial lawyer with extensive experience in commercial litigation in the state and federal courts of New York and around the country. 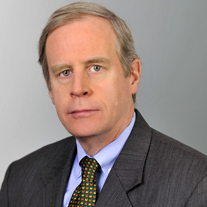 For over 25 years, Tom has served as lead counsel in dozens of trials and handled a wide variety of complex matters, resulting in over 50 reported decisions, including numerous federal appeals. He has extensive experience in representing clients in the capital markets, including cases involving complex financial instruments and contests for corporate control. He also has served as lead counsel in several of the most significant reported cases involving the proxy laws. He also maintains an active practice before the Financial Industry Regulatory Authority (FINRA) and the American Arbitration Association (AAA), where he has served as an arbitrator in complex securities matters. Tom is a co-author, along with Olshan litigation attorneys Kyle Bisceglie and Herbert Ross, of the LexisNexis New York Commercial Litigation Guide, a practical, task-oriented guide to various topics in commercial litigation that clearly explains how to analyze, resolve, and/or litigate the issues that can arise at every stage of a commercial dispute, from the basic corporate structures to complex questions of law, evidentiary matters, procedure and strategy. WSJ Reports on Sale of Loan at 119 West 40th St.
"Drafting General Releases After Centro: How to Preclude or Preserve Future Claims of Fraud and Breach of Fiduciary Duty"